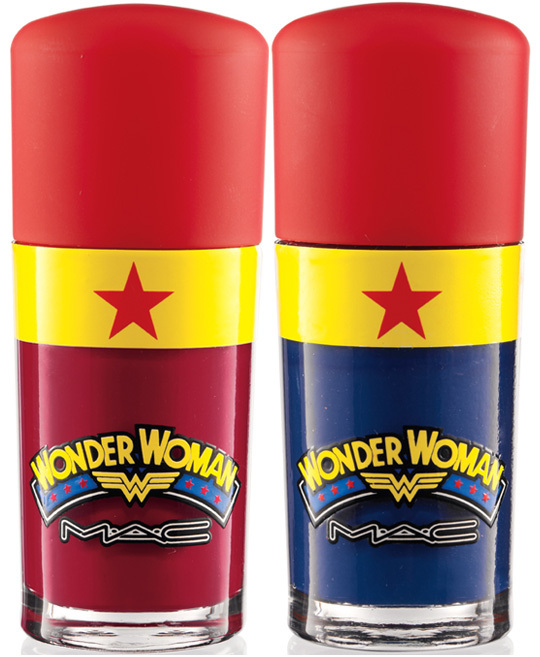 Since I still haven't been able to put my hands on the new MAC Wonder Woman nail polishes, I decided to fool around and treat myself anyway with a Wonder Woman manicure. I used to love the serie when I was a kid (the repeats, lol) and Lynda Carter was the most beautiful woman in my eyes. So here it is, I used Opi Dating a Royal, Big Apple Red, Alpine Snow and a black nail art pen. It's not perfect, please be indulgent, like I said I was just fooling around and I took it off as soon as the pictures were taken. That's amazing, I love it! I don't know how you're so neat on yourself - I'm decent on other peoples nails, but myself & it looks like a mess! I feel so stupid...I just tweeted you asking you how was the formula on the Mac? WOW. Thanks girls, I really didn't expect that because it's way more sloppy than my usual nail arts, I'm happy you'll like it though. ARGHHHHHH!!! Love it! I have both these coming in the mail and planned on doing something similar! Wow I love the way it looks like comic book talk. It came out so good. Love it!! ça fait très BD, bravo ! I think it looks really great! 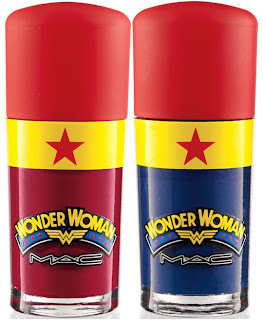 I am hoping to pick up the WW polishes tomorrow! This is super nicely done ! @Konad-licious I can't wait to see your WW manicure, please send me a link to your post once you publish it and I'll add it here. There can't be enough WW love, LOL. Talented! I love the Wonder Woman character for all the truth and honesty she brought to little girls everywhere. omg your nails were PERFECT! 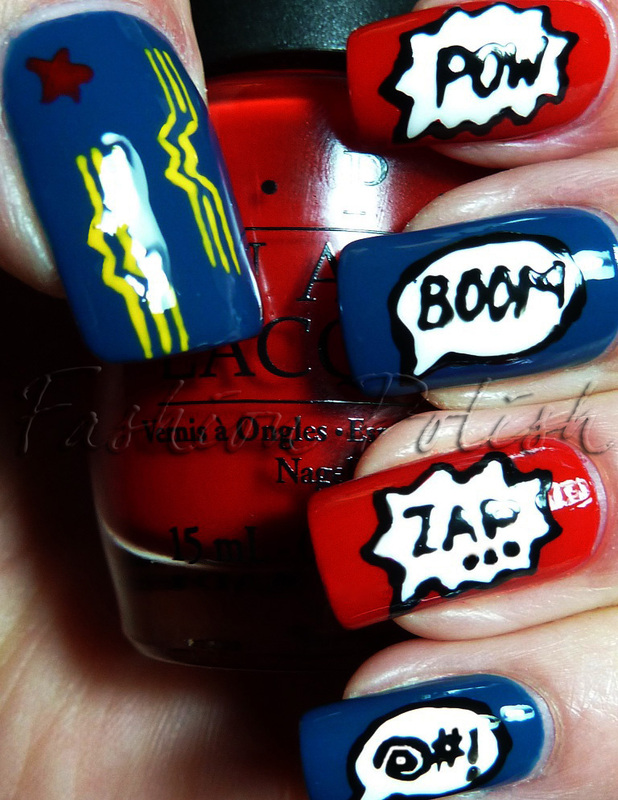 i totally want to try it so don't be shocked if it shows up in one of my nails of the week hehe. i will totally give you credit of course. @little miss glamourous I can't wait for your pics! Superbe ce beau nail art vraiment c'est rigolo, et bien réalisé !